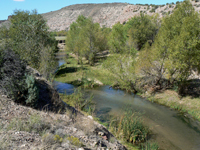 Perspective on Water for Natural Resources in Water Management and Planning in Arizona--a follow-up white paper to the 2013 Calculating and Considering Environmental Water Demand for Arizona (available here). Join the discussion. We determined recommendations, tools and action items for how Arizonans should be considering water for natural areas in our water management and planning. 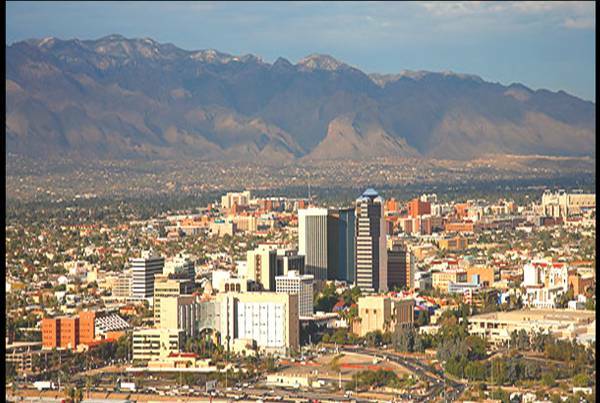 Exploring Environmental Flow Needs and Responses in Arizona: the Environmental Water Demands Database. A WRRC webinar presented August 2013 (10 MB). A two page document explaining the program (2.6 MB). The WRRC is working with our steering committee and other stakeholders to forge a path toward understanding how the environment can be considered in Arizona water planning. A white paper by the WRRC summarizing environmental demand from both a science and policy perspective. A report by the WRRC compiling all the published research of environmental water demands in Arizona. The WRDC was one of the first statewide water planning efforts to consider the needs of the environment. Ultimately, we aim to establish dialog among water users about voluntary, stakeholder-driven options for addressing the environment in the context of limited water supplies and existing water rights. A general fact sheet on the EnWaP program is located here (2.6 MB). 1. Provide information on environmental water demands. 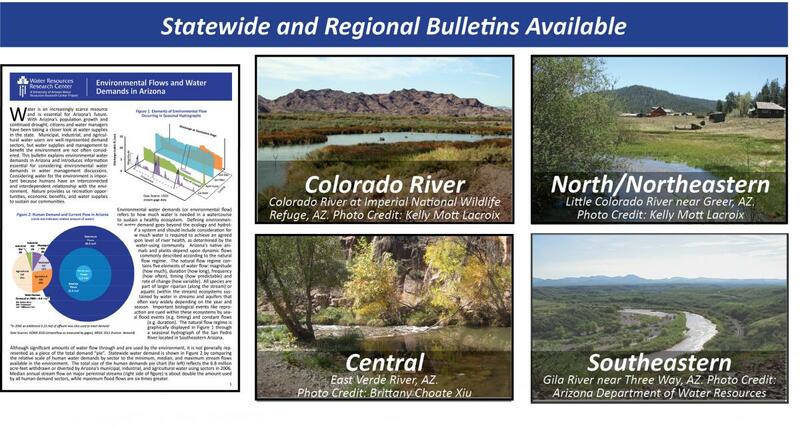 To provide information on environmental water demands and how they interact with other water demands in Arizona the WRRC has developed a statewide and four regional bulletins. Each bulletin provides a concise introduction to the current knowledge about environmental water demands in that region, outlines gaps in that understanding, and illustrates how environmental demands can be considered in the context of other regional water demands. Hard copies of each bulletin are available by request. The WRRC is also available to present regional information on environmental water demands to interested groups. If you are interested on a presentation on environmental water demands tailored to your questions about them and your region please contact Kelly Mott Lacroix. 2. Provide technical support to communities for their water management and planning. What are some options for incorporating the environment? What should the priorities be for water for the environment? To request more information please contact Kelly Mott Lacroix. 3. 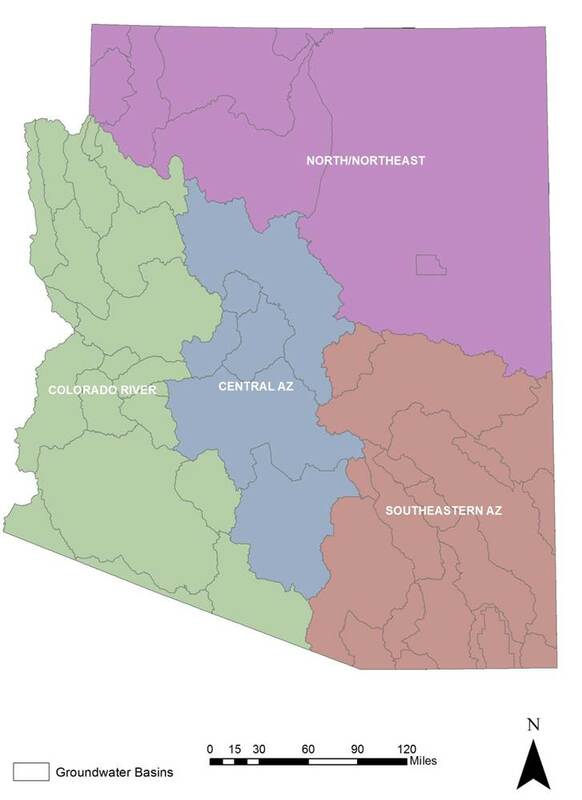 Create a stakeholder driven “Roadmap” for considering the environment in Arizona water planning and management. To start this dialog and learn about the ideas, questions and concerns of water-users in Arizona we are building Arizona’s Roadmap for Considering Water for Natural Resources in Management and Planning. For more information on the Roadmap, click here.